It would be unfair to dismiss my home town from this collection of cities. I am often looking for good pictures from the Central Station and this is one of the finest I have seen. 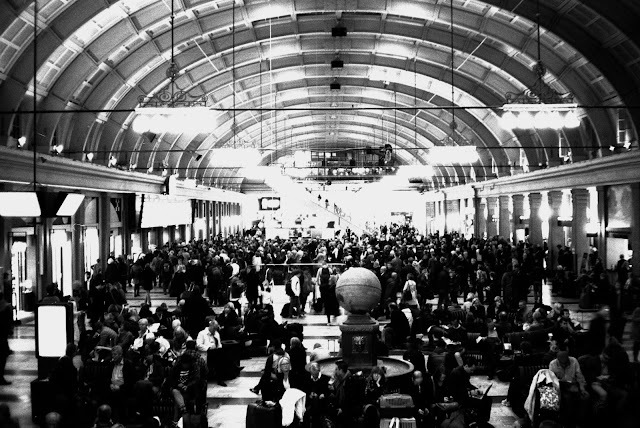 Taken by Olof Björklund in winter 2015 when the station was packed by people due to a snow storm that halted many trains.